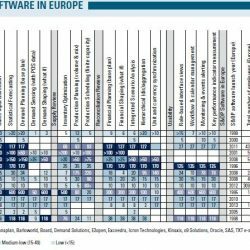 Now that the European economy is strengthening, a growing number of supply chain software vendors are turning their attention to Europe. The demand for software solutions for sales & operations planning (S&OP) in particular is attracting new players, and cloud-based supply chain software solutions appear to be making a breakthrough. Those are the key conclusions from Supply Chain Movement’s annual market study which forms the basis for the globally renowned IT Subway Map Europe. There is a good chance that the superfast chips in your smartphone or tablet were printed on ASML equipment. Over the past 30 years, the publicly listed company has grown into the most important producer of steppers and scanners for the semiconductor industry. The company also provides aftersales services. With downtime costing its customers 72,000 euros per hour, ASML has invested heavily in refi ned planning tools and exeptionally close collaborative relationships with its customers and suppliers. Forecasting is a challenge for many companies. The accuracy leaves a lot to be desired, resulting in interference or ‘noise’ in the communication between the Sales and Operations Planning departments. A clearly defined process, committed sales people, collaboration with customers and timely scheduling of activities all contribute to a better forecast. Furthermore, it is important to evaluate regularly and learn from mistakes. The sales & operations planning (S&OP) cycle, aimed at facilitating strategic consultation, is the number one supply chain-related priority for companies. In practice, the use of software to support this periodic discussion process is very fragmented. Specially designed S&OP software is used only very sporadically in Europe; it is much more common for companies to utilise a combination of different applications. 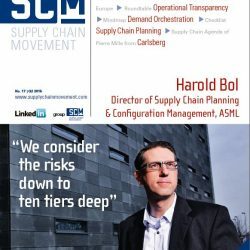 Those were the key findings from Supply Chain Movement’s research into the implementation of S&OP software in Europe. 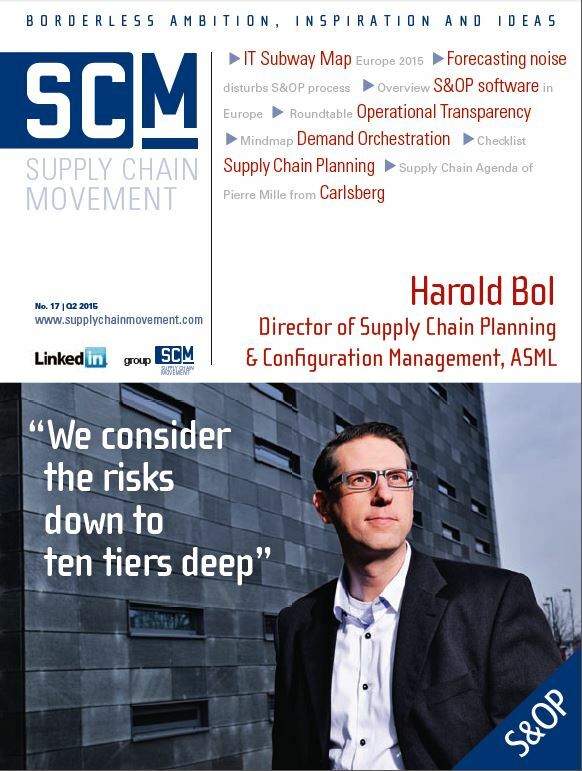 “ERP won’t provide supply chain visibility,” concluded Martijn Lofvers, chief editor of Supply Chain Movement, based on the reactions of the supply chain directors present at the roundtable on ‘Operational Transparency for the Board’, a joint initiative by Supply Chain Media and Every Angle. In that case, what will? And how is visibility linked to hidden cash? 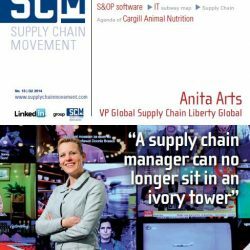 Within many companies, the Supply Chain department is repeatedly required to adapt to the ever-changing customer demand. This often results in ‘jittery’ planning with lots of ad hoc adjustments. 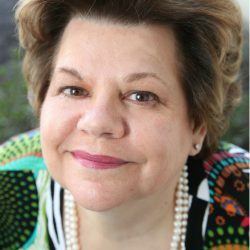 Supply Chain Movement and software supplier Icron Technologies have put together this checklist for responsive planning. In the global economy, ever-higher customer expectations combined with demographic and economic shifts are making it increasingly difficult to predict customer demand. 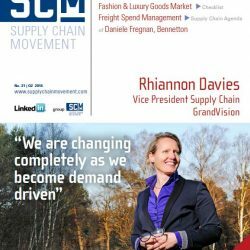 Adequate forecasting and demand planning is essential if supply chains are to deliver products in line with the required service level. Supply Chain Movement has collaborated with Logility, a provider of supply chain software, to devise this Demand Orchestration Mindmap outlining the route, with road signs indicating potential hazards along the way. A series of acquisitions inevitably led to a complex supply chain for global beer brewer, Carlsberg. For Pierre Mille, VP Group Planning & Customer Service Excellence, this was an opportunity to unleash its untapped value. His task – together with his colleagues from procurement, production and logistics – is to simplify the global supply chain while acknowledging that consumers are often very emotionally attached to a particular beer brand. “Consumers have strong rooted preferences when it comes to beer. We have to continue to meet their needs while simplifying the parts of the chain which don’t add value.” A new strategy is evolving which incorporates a twoway flow: Products in one direction and information back from customers in the other. Mille is in his element: “I love the tension between the long term vision and doing the job every day, at every level”.